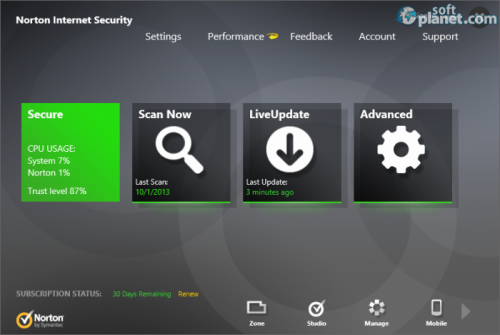 SoftPlanet makes it possible for everyone to get free Norton Internet Security download directly from our servers. There is no registration needed for downloading. 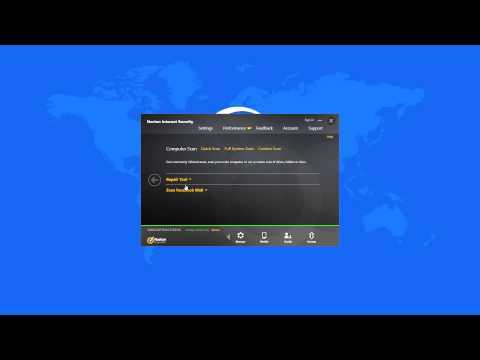 The name of Norton Internet Security, suggests that this version of the antivirus program is focused on your Internet protection and the functions of the app confirm this. Obviously, because most of the users today use the Internet on a daily basis, Symantec Corporation focused one of its products towards protection from threats coming from this most important part of the contemporary world. But this protection costs USD 49.99, if you want to use it after the 30-day trial period, during which you can download it and use it for free. 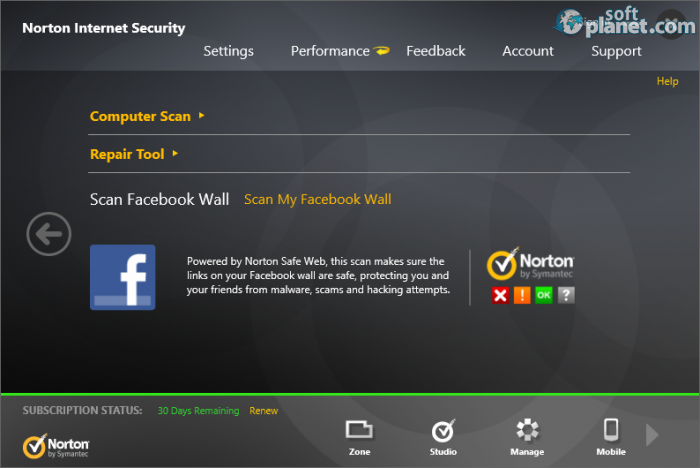 For your protection Norton Internet Security offers some utility tools, like Norton Power Eraser and Scan Facebook Wall. The first function erases crimeware or programs that are hard to remove. Developer Symantec Corporation warns that if you use this app there is a possibility for it to highlight legitimate software so you should use this tool with care. But you must have in mind that to use Norton Power Eraser you have to restart your computer. The other option, Scan Facebook Wall, suggests what it does with its name. With it you can be sure that your Facebook Wall will be safe from intrusion. 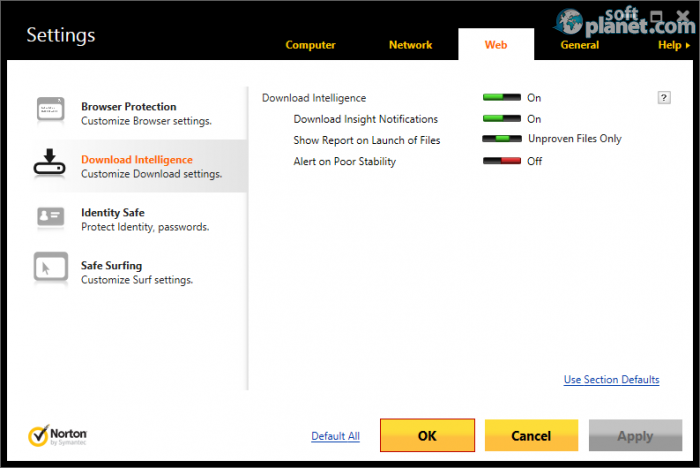 But the app also monitors your overall protection with different scan types, which are integrated into all of the products by Symantec Corporation. After you start the app it gives you some useful hints, like the one that reminds you to check the square to the right of the main window and if it is green then your PC is safe. If not … it is time for a scan. The interface of the app makes every action that you want to use within reach, helping you to perform the scan that you want. After you select Scan Now you can choose between Quick Scan, Full System Scan and Custom Scan, functions which are accessible from all Norton products. The big difference between this product and the others are the protection capabilities from Internet threats. The antivirus program offers Antispyware, Autoprotect and Browser Protection, which are standard, but it also includes Intrusion Prevention Message Protection and some other capable defensive tools. Like most programs by Symantec Corporation you have to make this one perform the first update. Then it will download the files that the app needs and will install them in a slow manner, because it takes time to install all the updates and after that it adds a patch. Otherwise all of the tools work without any problems and you don't feel a lot of pressure on your PC, even though the app includes a lot of protection instruments that work at the same time. 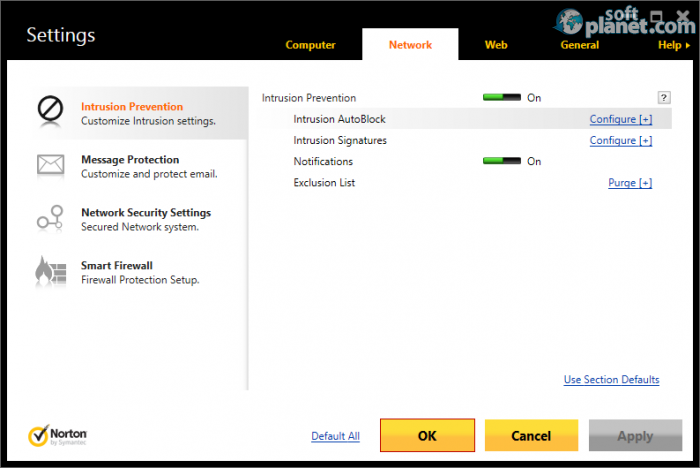 Norton Internet Security is an awesome protection tool, which includes all the other functions created for Norton products, synthesizing in this way some of the best features. The app is also light on the system and you don't feel it working in the background, but at the same time, like all products by Symantec Corporation it has the flaw to be paid. But Symantec offers a lot for the money that they want from you, so this is one of the apps in which you can invest. Norton Internet Security is VIRUS-FREE! Our security scan shows that Norton Internet Security is clean from viruses. The current version of Norton Internet Security has been scanned by our system, which contains 46 different anti-virus algorithms. 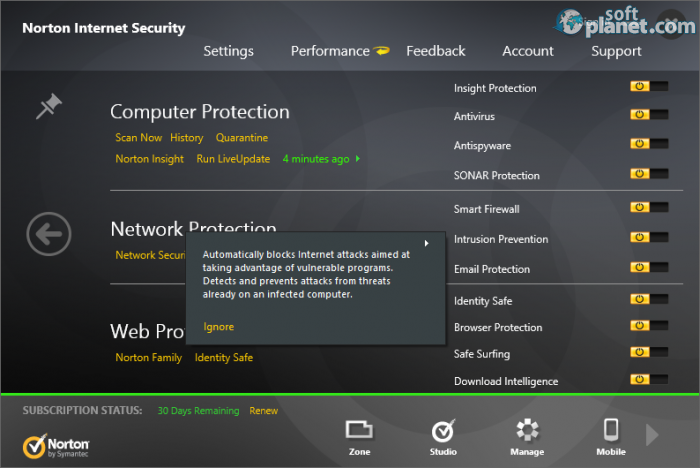 That ensures that Norton Internet Security 21.1.0.18 is 100% safe for your computer.